babies and sick term babies ﻿survive and thrive. 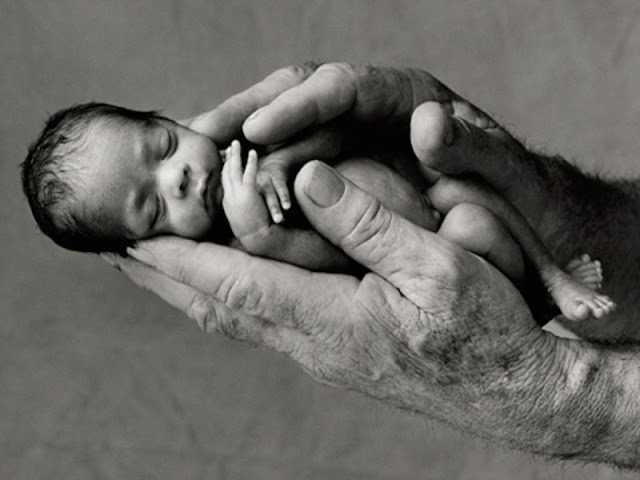 This is an Anne Geddes photo but it COULD be Dr. Woodall's hands holding a premie. party decorations so we collaborated on that part. I also made tiny signs to stick into the grasses' soil and to place around the venue. 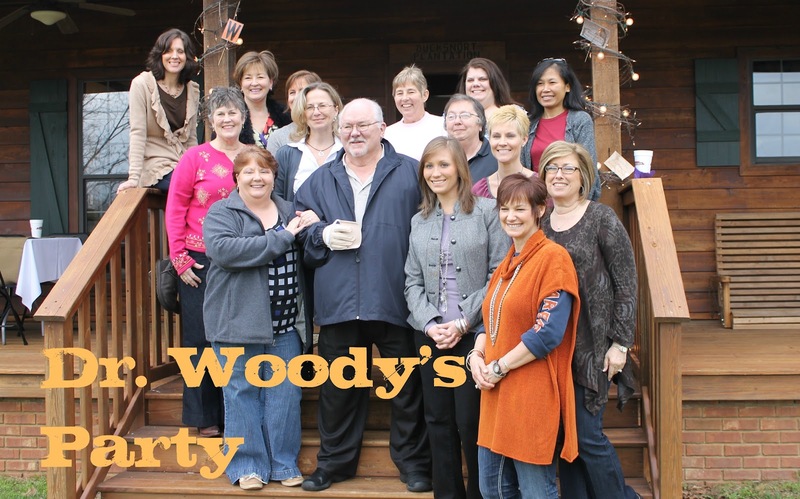 Dr. Woodall is affectionately called "Dr. Woody" so I tried to use the letter "W" and "wood" as a decorating theme for the party. outdoors-y papers that worked well together. white on the back (the paper was not double-sided). to cut out to hide the white of the backing paper. two pieces of paper to be the stake. because I was running short on time and was being a frantic sloppy gluer person. then just painted or stained them. When I was editing this photo, I realized that the letters plus the stain top looks like "WoW". out making some of them look like metal (as is they were "finds" from an old sign). Also, it tied them in with the galvanized containers. for a guy, but we did have a few daisies in vases. now 70) when he was going to retire and he said, "When I draw my last breath." He is really dedicated to helping babies and their parents. to retire earlier than that, thank goodness. We all wish he has many years to enjoy his retirement. For instructions on how to grow grass for fun or decorations, here is a blog post about that. We grew our grass in casual containers but the grass also looks elegant in more refined containers. For assorted ways to use the grass once you have grown it, is another blog post. looks like a great party for a great Doc.. love that you used the letters and how you created them. I'm visiting you back! That's what good neighbors do! Honey, is that your HOUSE? Oh my word! It's beautiful! Look at that pond out back...what a view! Love love love the centerpieces and all the quotes. I bet he was so honored that y'all went to all that trouble! That is so sweet. Be well and Take care! Good memories for all. A wonderful snapshot for Dr. W's retirement celebration. What a great party! My last name starts with a W, in case you want send me any of those cuties! Love the greass! What a lovely gesture for a fabulous man. Love your decorating ideas. The grass is lovely. What a nice post. And your decorations came out great, but I particularly liked the green grass for this time of year - fun. What a wonderful THRIFTY way to decorate for a party...thanks so much for sharing it at my party...it's always nice to have ya here. GREAT ideas!!! I love to grow natural rye grass for tablescapes, too, and it really does make a difference on a table! The Ws were a great touch, too! Congratulations to Dr. Woody! Great party decor! So happy you linked up this week at "Cowgirl Up!" Love all your ideas! 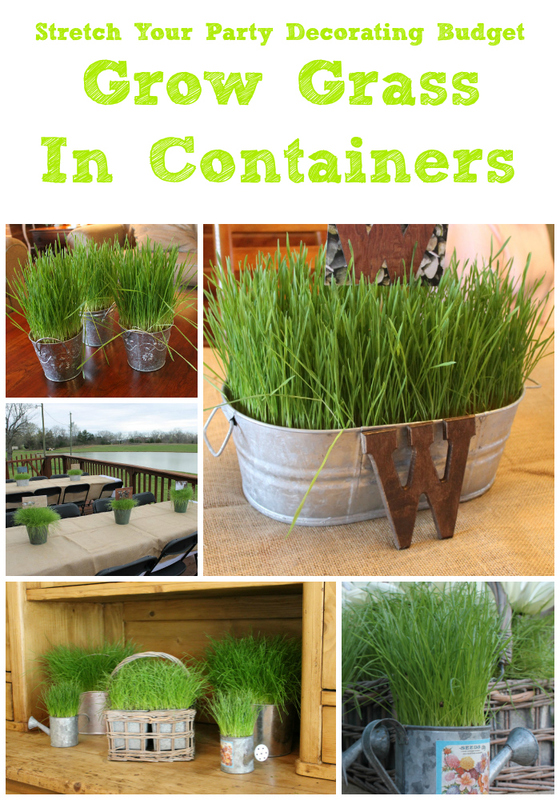 The metals containers, all the fun glass containers, growing grass is such a great idea especially for Easter! Thanks for linking up to Centerpiece Wednesday and sharing your ideas!